Although it’s safe to say that we all want something different from our holidays, I think it’s worth seeking out destinations that offer a wide range of attractions and activities, especially if you are going away in a large group. That way, you can be confident there will be something to keep everyone in your party happy – with the Loire Valley a particularly suitable region. Head to this part of France and you’ll discover so many fantastic things to see and do that you might not quite know where to start. To give you a little inspiration, however, I’ve set out some details of five of the best ways to spend a break here. Keen cyclists will be in their element when taking a holiday to the Loire Valley, mainly as they will have the opportunity to cycle along the Loire a Velo. This amazing network spans some 600 km (although it will extend to 800 km once work on it has been completed), so it’ll be easy to incorporate at least a little biking into your break. Perhaps one of the most fascinating routes is the 16 km path from La Dagueniere to Angers. Here, you’ll follow the path of the River Authion and go through the historic mining region of the Loire, where slate has been excavated for some 600 years. 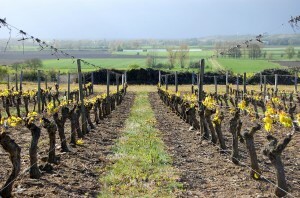 If, like me, you love wine, I suggest that you tour some of the hundreds of vineyards that are located in the region. Numerous grapes – including the chenin and cabernet franc varieties – are grown here, and you’ve got the chance to sample a number of delicious vintages and find out more about how wine is made. Visit the family-run Domaine du Croc du Merle in Muides-sur-Loire and you can explore 10 hectares of vineyards. As well as producing wine, the establishment cultivates blackcurrants and cheeses, so it really is a great place for discerning foodies to check out. As is the case with much of France, the Loire Valley has a rich culinary heritage – with the region particularly famous for growing asparagus, artichokes and cherries. If you’re looking to sample some classic fare, I recommend you visit Le Saint-Hilaire in Chartres. This 16th-century eatery specialises in local cuisine, with its wooden ceiling beams and traditional painted furniture creating a cosy, inviting atmosphere. I think the Loire Valley is also a great place for history lovers to visit, and you may be interested to note that it has UNESCO World Heritage Site status due to its outstanding “cultural landscapes”. Among the many historic buildings you can explore here is Chateau de Chateaudun, which features a blend of gothic and renaissance architecture, and the 16th-century Chateau d’Azay le Rideau. I also recommend a trip to the Maurice Dufresne Museum, where you can look at thousands of historic artefacts, including agricultural tools and weaponry. If you’re staying in a holiday chateau in the Loire Valley, you’ll more than likely be situated in a stunning property surrounded by well-maintained lawns. However, there are plenty of amazing public greens I think you ought to check out too, including the grounds surrounding Chateau du Rivau. With over a dozen gardens to explore, this is a lovely place to connect with nature, where some 400 varieties of rose can be seen. There are also numerous sculptures and a bamboo hut to check out, while a range of children’s craft workshops run throughout the year. These are only a few of the fantastic activities that you can do while on holiday in the Loire Valley, but if you can think of anything we’ve missed please let us know by leaving a comment below.